Max Protection’s Storage Box is the highest quality, most competitively priced cardboard storage box on the market today. They are constructed of white corrugated paper and have a 200 lb. test strength. 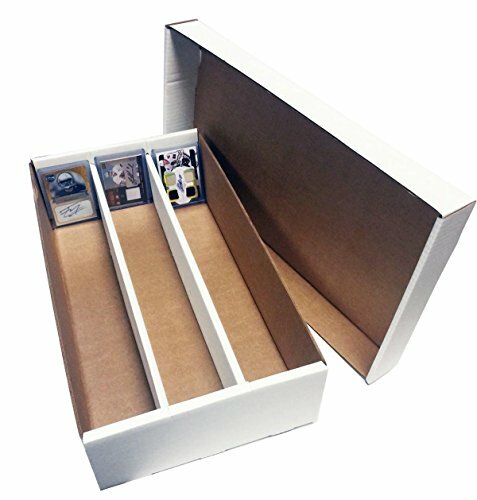 Use this box for store and protect collectible trading cards like: baseball cards, basketball cards, football cards, Pokemon, Force of Will, Magic The Gathering, VS, Yu-Gi-Oh, Dragonball Z and others. Made in Oregon, USA for Max Protection.